Dr Upendra Kumar Singh assumed charge of Director, DEBEL DRDO, Bangalore with effect from 01st Jan 2015. Prior to this assignment, he was Project Director (Weapon Systems) for Ballistic Missile Programme RCI, DRDO, Hyderabadfrom Jul 2012 to Dec 2014. Dr U K Singh did his M.Sc and M.Tech degree in computer Science from DAVV, Indore and obtained his doctorate from University of Hyderabad on soft computing. Starting his career in ATV Project in Ship building Centre (SBC), Visakhapatnam in Oct 1989, he moved to NSTL in 1992, where he worked for system simulation and embedded software development of On-Board Computer (OBC) of light-weight and heavy weight torpedoes. He joined Programme AD at RCI, Hyderabad in Sep 2001. During his 29 years of service so far Dr Upendra Kumar Singh has closely worked with Indian Industries, academia and foreign firms for the realization of Advanced Weapon Systems for the Services. As Director, DEBEL, he is engaged in meeting critical requirements of the Indian Armed forces Services in steering and guiding in the development of many Life-Support Systems such as Protective equipment and Integrated Life saving system for LCA Aircraft – Tejas, Under water Submarine Escape System, Individual Under Water Breathing Apparatus, NBC Protective Equipment and many Bio-medical devices and equipment such as Telemedicine for Navy & Army, wearable soldiers physiological monitoring system, Military grade Portable Physiological Parameter Monitor and high altitude life saving devices. A propagator of self-reliance, he has successfully spearheaded Transfer of Technology (ToTs) to many industries and encouraged private and public institutes participation in development and product activities. He is also the Chief Executive Officer (CEO) of the Society for Biomedical Technology (SBMT) started by Dr APJ Abdul Kalam to help the common man with development of affordable biomedical devices. A staunch supporter of indigenous and affordable health care development, as CEO of this society, he spearheaded many products such as Cochlear Implant, MEMS Intracranial Pressure monitor and Electrocorticogrpahy sensors, External counter Pulsator, Virtual Laparoscopic Simulator, and Above Knee Prosthesis to get into the clinical trials and transfer of technology to Industries. He has published many Papers in Journals to National / International Conferences. He is a recipient of DRDO Award for Path Breaking Research / Outstanding Technology Development & Laboratory Scientist of the Year Award (Lab Level- DRDO Award). 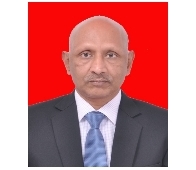 He is a LIfe member of the Institution of lectronics and Telecommunications Engineers (IETE), Computer Society of India (CSI) and Aeronautical Society of India (AeSI).